You absolutely CAN carry a K-Frame in complete comfort and concealment, with a S&W K Frame 2-inch barrel holster from Alien Gear. We specialize in comfortable concealment, and saying "oh, making a holster for a wheel gun is hard so we won't do it" just isn't good enough for us, which is why we make not only one, but several S&W K Frame 2-inch barrel concealed carry holster models. Both IWB and OWB holsters are available for this model of gun, all featuring Alien Gear's holster retention shells. We create a custom mold for every holster shell, using the gun itself to ensure a custom fit. The holster will fit like a glove, and the draw is buttery smooth as a result. Since we mount our holster shells with adjustable hardware, the draw can be adjusted by the wearer - make it as tight or as loose as you want it. 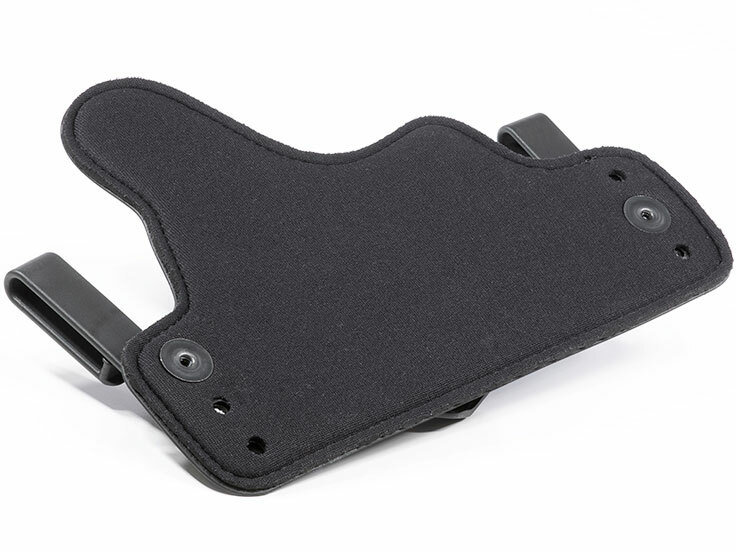 Holster materials available include leather and modern multi-layer construction. For fans of cowhide, the Cloak Tuck IWB and Cloak Slide OWB are made with plush, premium leather. We use thicker leather than much of the competition, and you will notice the difference when you strap these holsters on. Color choices are currently natural tan, or a deep, rich dyed black. If you prefer something a little more modern, the Cloak Tuck 2.0 IWB uses a multi-layer design for the ultimate in comfortable concealment. 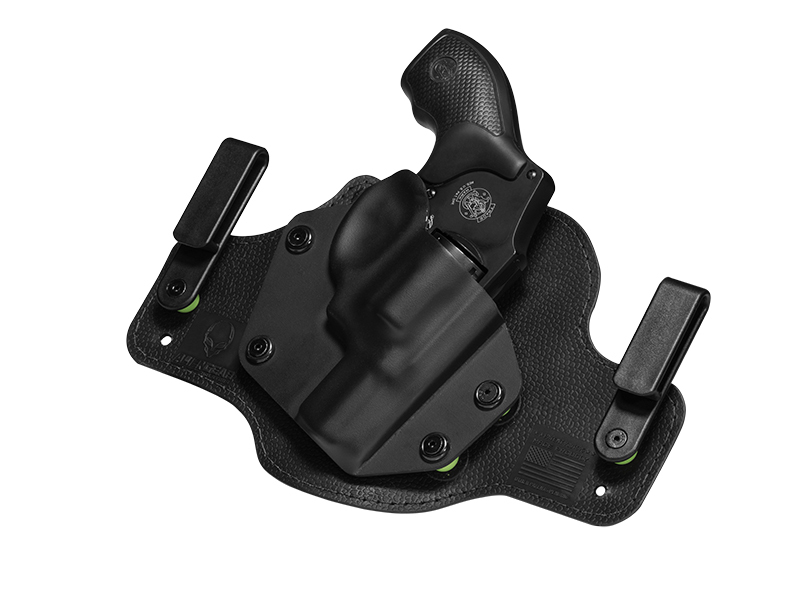 Our IWB holsters can also be adjusted for ride height and grip cant by adjusting the belt clips. This way, you can position the holster and pistol exactly where you want them, instead of relying on a holster maker to set it for you. Regardless of which holster you choose, it comes with Alien Gear's Iron Clad Guarantee. Every holster comes with a Forever Warranty, and we will fix any issue or replace the holster for as long as you own it. You can also make use of the 30 Day Test Drive - take a month to wear the holster and see if it's the holster you want. Return for a full refund if not. Purchase of an Alien Gear holster also gets you a lifetime of retention shell trades. If you trade in your gun, you can trade in the old shell for the new model's. However, revolver shells can only be used with revolver holster bases - if you trade in your wheel gun for an auto, you will need a new holster. But with Alien Gear...is that such a bad thing?